Last weekend I went to an exhibition in the downtown that was displaying some pallet wood creations. And I was so damn happy to see that people participated in the event with quite large numbers. People seemed pretty happy with the pallet wood creations. This was so encouraging for us. 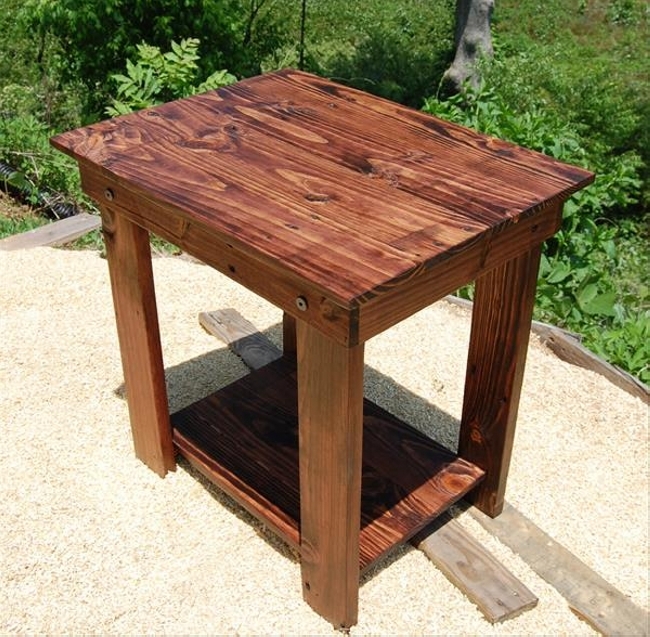 People have literally realized the importance of pallet wood recycling and now they prefer to recycle some wooden furniture items for their homes and even offices. 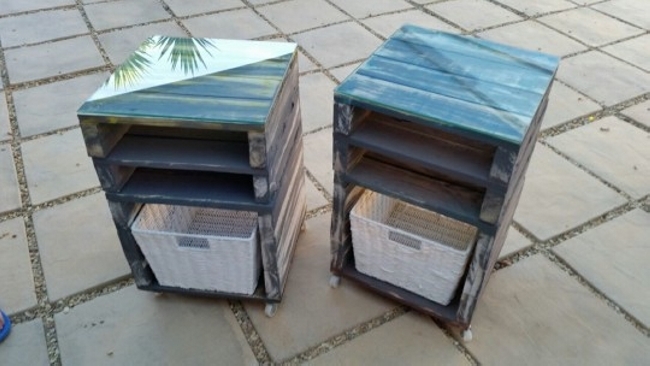 A table is a major component of the pallet wood creations, let’s have a look on a detailed range of wooden pallet upcycled bedside tables. 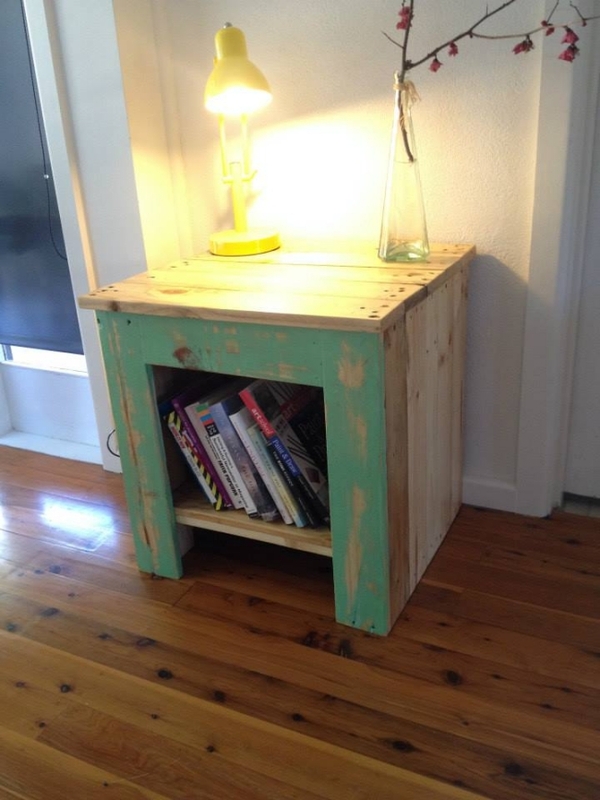 Ask for a room table recycled with the old pallets and I would recommend you guys this one displayed here. 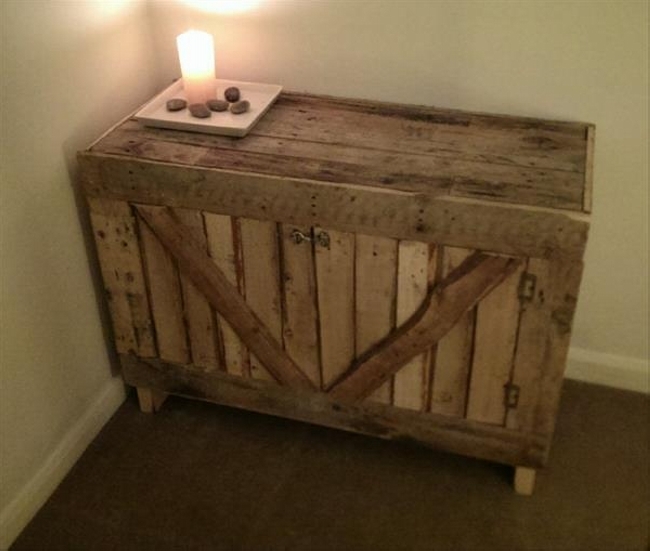 Made with some fresh pallet wood, it has still got the nailing scars pretty prominent on its surface yet it makes a perfect remedy for the storage options. 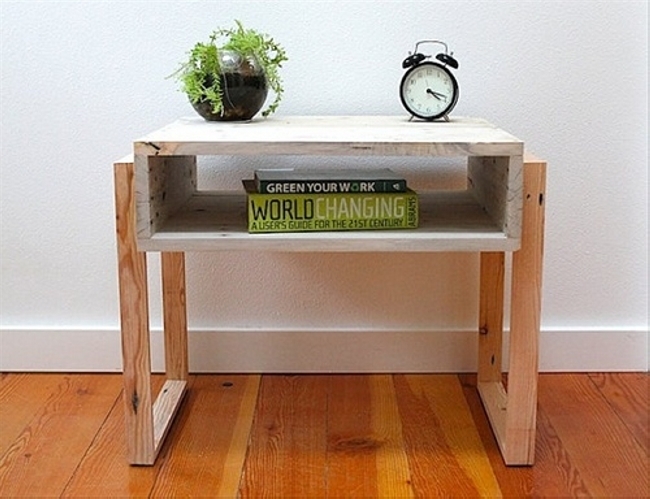 Making a multi tiered side table for your room would be another great idea. 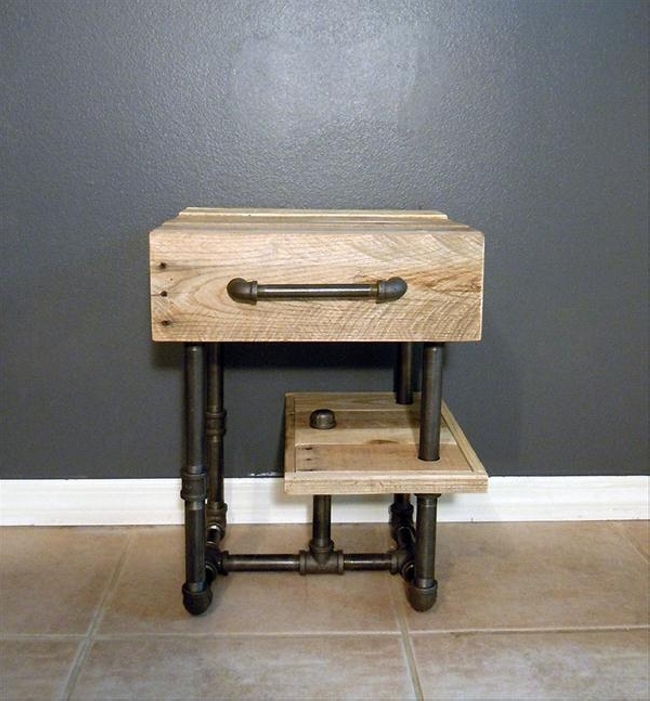 Making it a multi tiered beside table holds a grand purpose and that is the additional storage space. 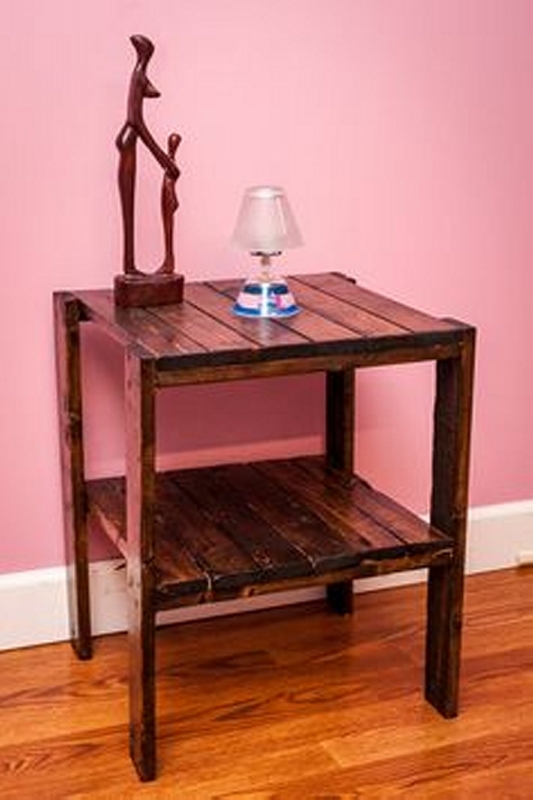 You can use it to display some antiques or decoration pieces, or also use it as a regular wooden room table. 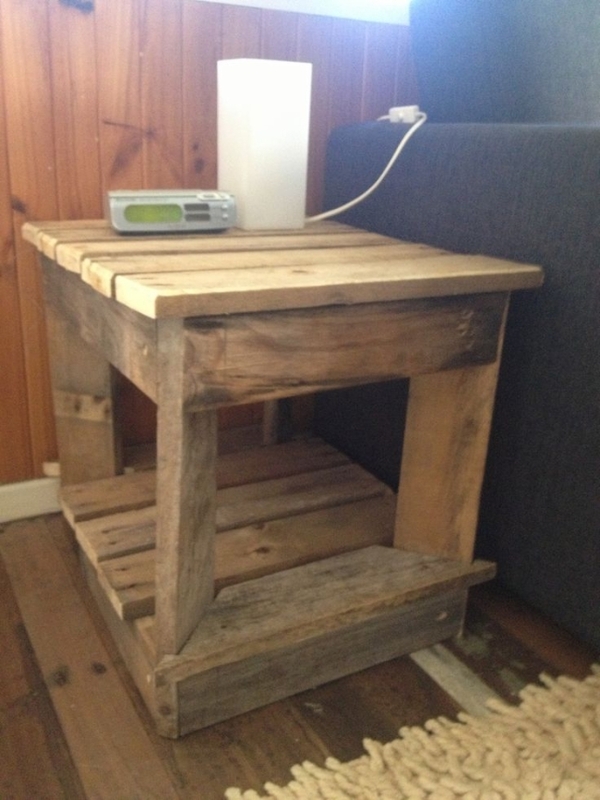 Made with some deteriorated shipping pallets, this table is clearly a multi purposed wooden furniture item. 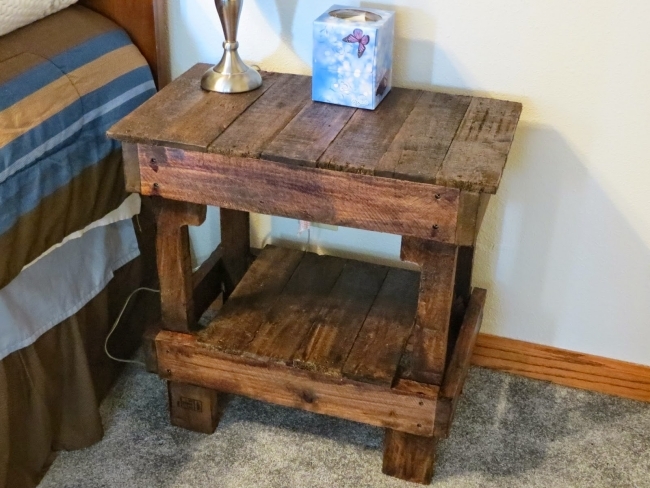 We didn’t bother much while collecting the pallet wood because we had planned to keep it pretty rustic and rough. The main thing that we focused on was its design and shape. 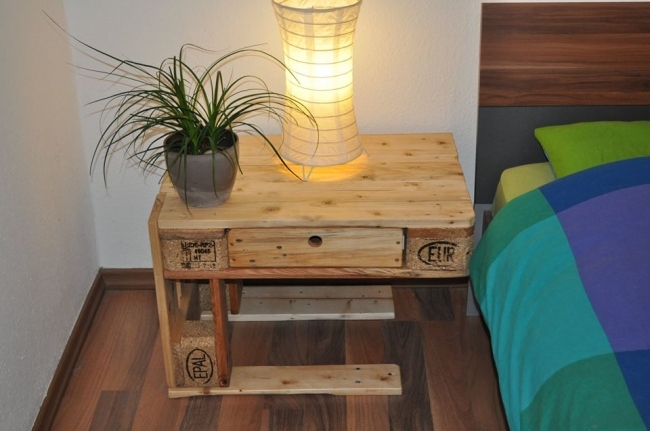 This time we have gone a bit deeper, we upcycled the entire room furniture with some old pallets. 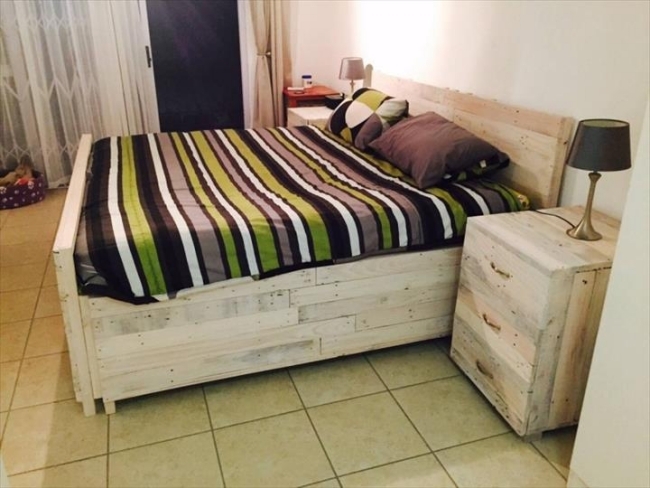 We made a wooden bead with a reasonably big wooden pallet headboard. 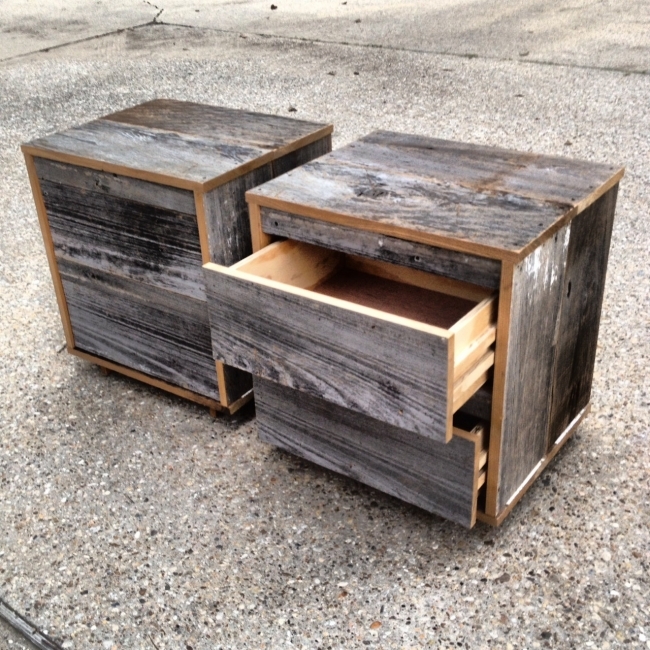 Plus we also upcycled decent side table pair along with the table that are provided with the three drawers each. 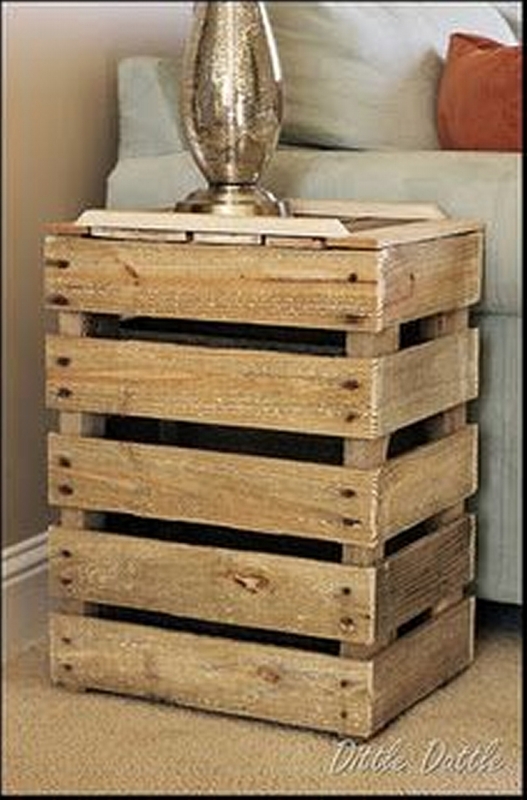 There might be some crafters who want to make these pallet wood creations look fancy and cute. 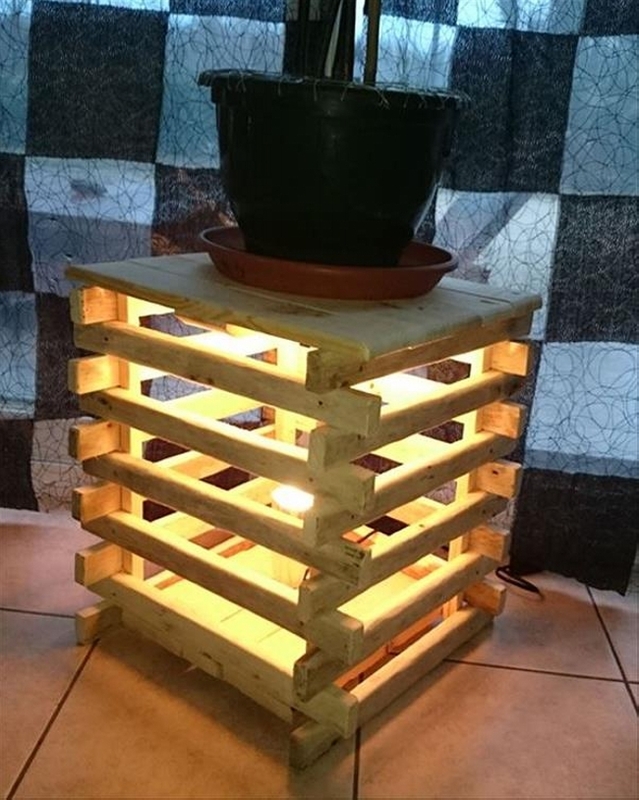 For this you can opt for some options like add some lighting work inside the wooden pallet recycled beside table as we did here. Just a common Edison bulb is fixed inside the bedside table to make it look fancy and attractive. 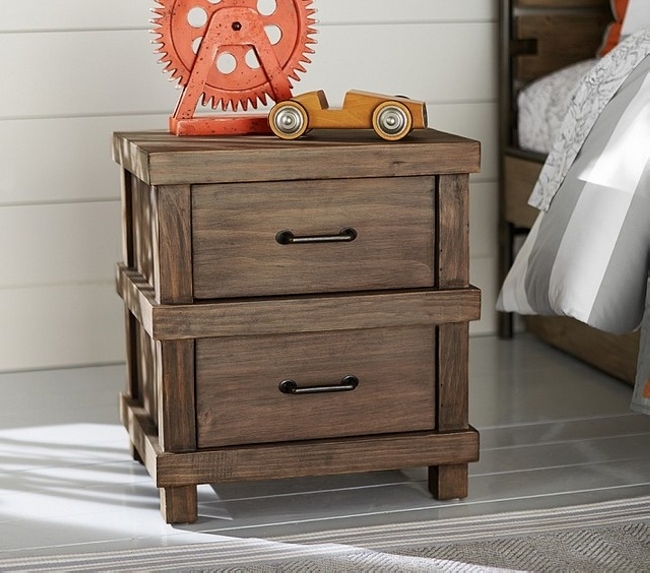 This bedside table is the demonstration of simplicity and delicacy. 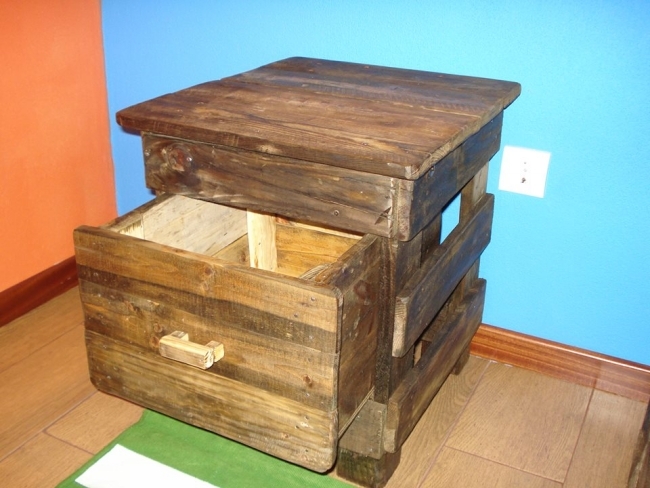 We didn’t add much glowing features in this one, nor did we focus on the staining or some charming color scheme. We just kept it straight and simple with a little heart shaped carving or piercing on the front. 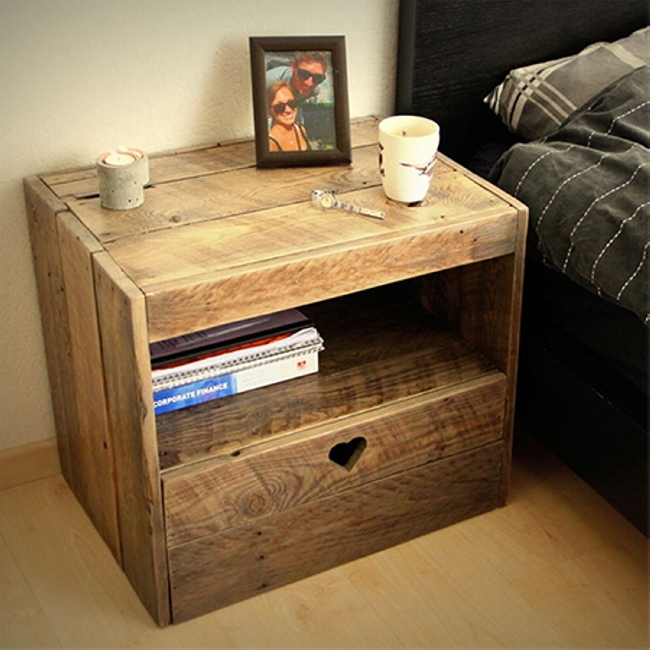 And this one can clearly be called a vintage bedside table. Pallet wood used in recycling this one is quite broken and stained. We just focused on the fine staining of the bedside table and made it multi tiered so that storage space is not compromised. 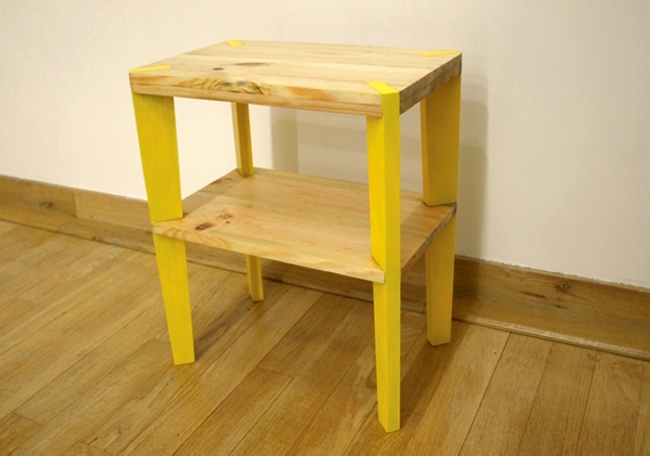 And the last one that is close to the typical shapes that are usually pursued while making a bedside table. 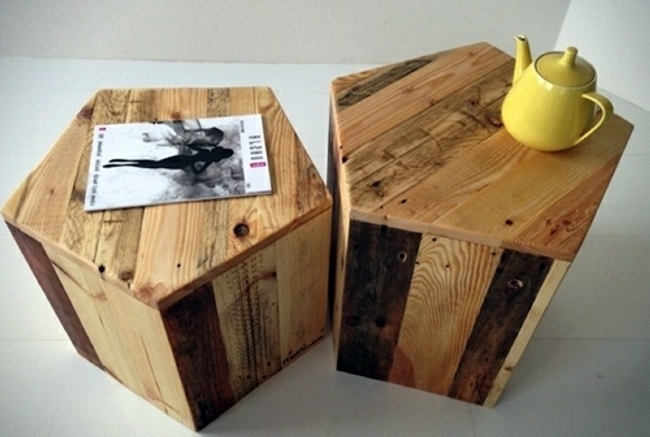 It has got a grand trunk with a wooden knob, plus a leveled top surface which can perfectly be used as common wooden pallet table.